Well that didn’t really go to plan. It’s not often I walk in races. In fact the only events I’ve ever had walking breaks in have been marathons. 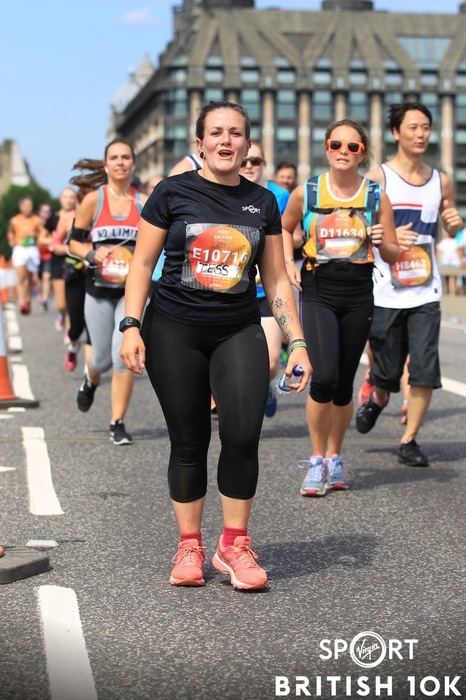 This year’s Brighton Marathon was a prime example of that, where I crashed and burned from mile 10 in the blazing heat, and that set the tone for the rest of the race. Still had an amazing time though – read that and watch the vlog here. (BTW I’m totally not saying there’s anything wrong with walking at all, I just mean it wasn’t in the plan). So yeah, another boiling hot, beautiful summer’s day, another race to run, and another undertrained and in denial Tess on the start line. 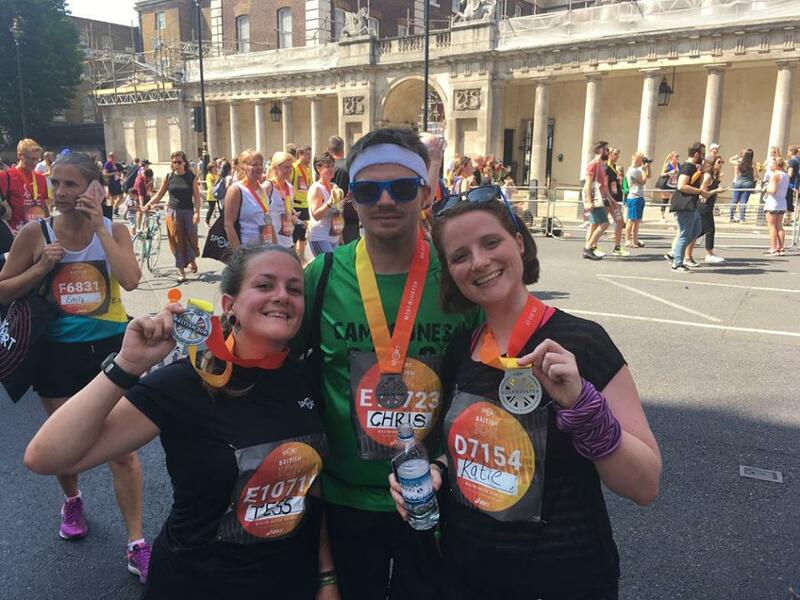 I had Chris and his sister Katie by my side – the Agnew massive were ready to run. These two were in better running shape than me though because, well… they’ve actually been doing some running over the past few weeks. I know, Tess the fitness blogger who’s not currently very fit. Tut tut. In the weeks before Glasto I left my job to go freelance (YAY – read about that here), and got really busy very quickly so ended up skipping runs to meet deadlines. Then when we got back from the supermassive 100 mile workout at the mighty Worthy Farm, I had to plough straight back into a ton of deadlines so running once again took a back seat. Suddenly the day was upon us and when a lovely Virgin Sport staff member asked me if I was going for a PB I scoffed in her face and said “no, but it’s OK, I can normally always bosh out a 10k on minimal training”. Can you Tess? Can you really? Does this look like a happy runner? I think it was around 25 degrees on Sunday. 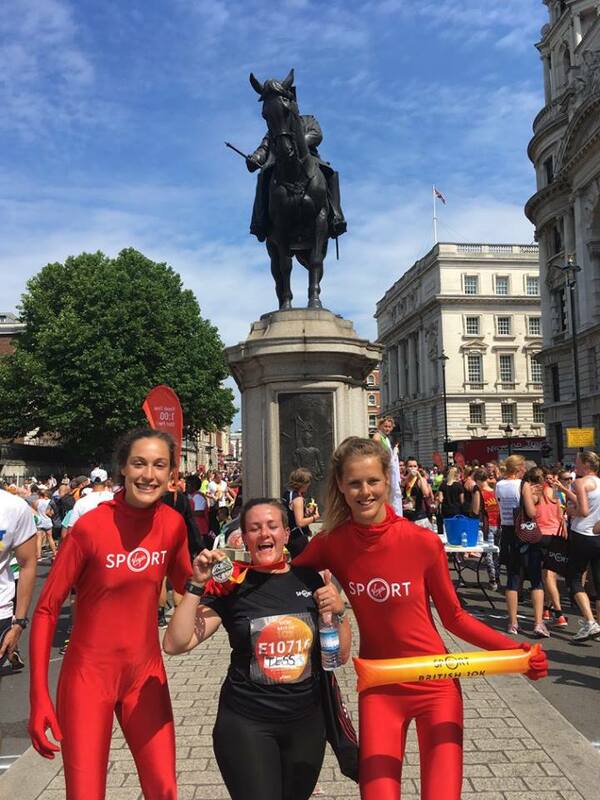 I obviously didn’t get the memo about it being the middle of summer so chose to dress like a ninja in all black, capris instead of shorts, and my Virgin Sport Run Hackney top because I thought it’d be nice to represent. Spoiler: it wasn’t. Fellow blogger Marcus called me ‘brave’ for my excellent wardrobe choice, and about 2km in I realised he was right. Read about the wicked fun I had at the Virgin Sport Run Hackney 5.5km and Festival of Fitness here. 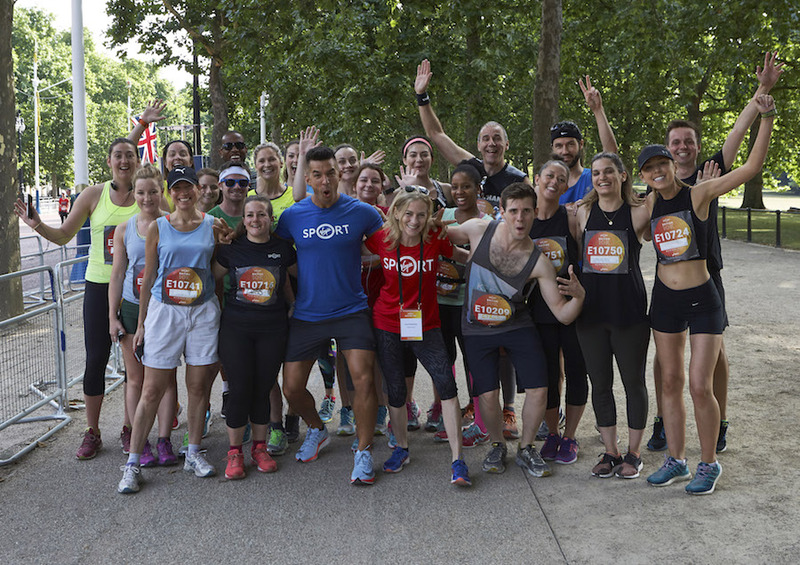 After a welcome from Virgin Sport CEO Mary Wittenberg and warm up with celebrity PT Faisal Abdall and other media, we headed to the start. 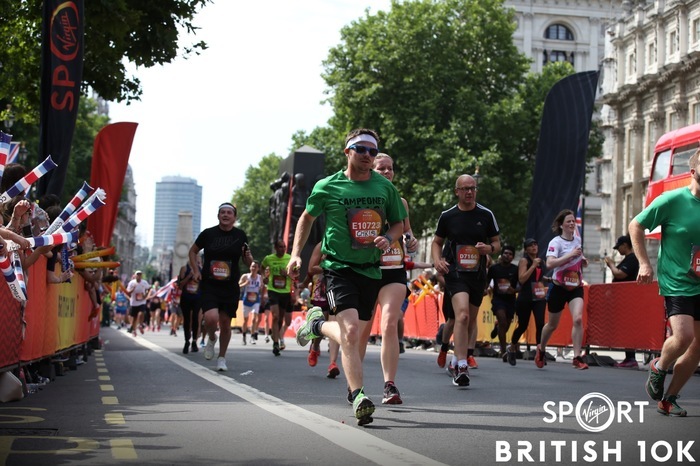 I’d never ran a race in central London before, so was excited to see the sights on the way and experience a mini taste of what it must be like to run the London Marathon. 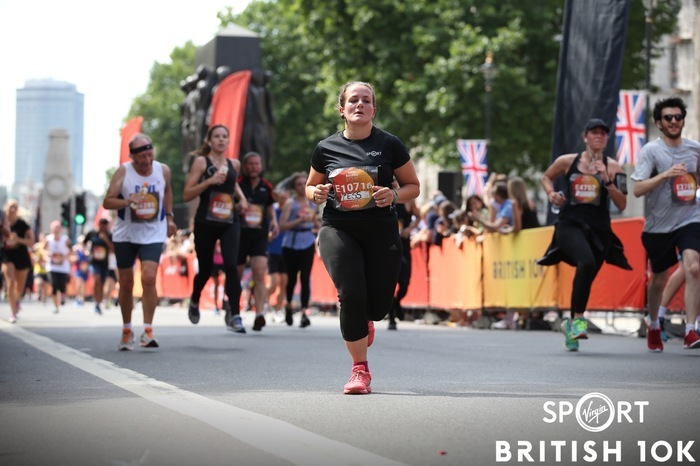 It was a bit of a slow start as we had to funnel through and turn to get to the start, but once we got going I tried to settle into a steady pace and ignore the DOMS that was still in my legs from a heavy gym session and cycle ride in the days previous. 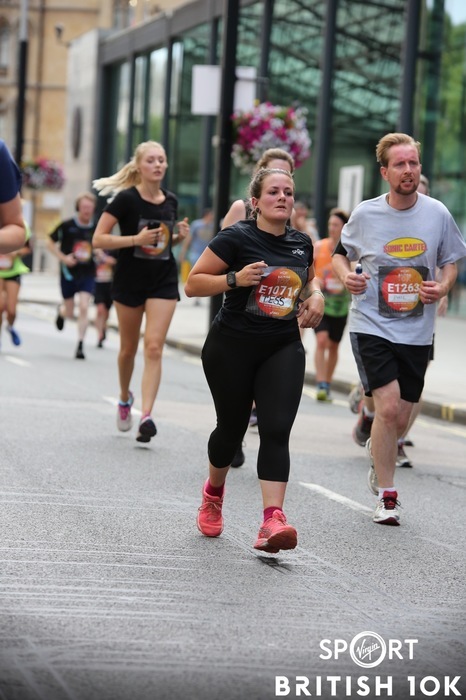 I hadn’t brought my earphones so didn’t have any dnb or Biffy to pull me through but there was lots of entertainment on the course – with bands and live music at every km. Best bit was Chariots of Fire being played on the way to Westminster Bridge. It was just so hot though. I realised once again, like I did at Brighton Marathon, that I just can’t run in the heat. I poured water on my head, drank loads, relished the mist sprays, but it wasn’t enough. This Girl Can’t. Or won’t? I can’t decide. 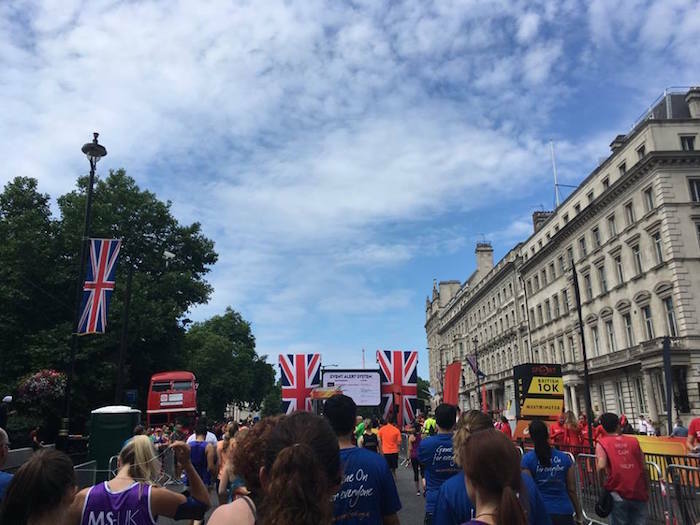 Despite the heat it was great to run in closed London streets, and running / walking over Westminster Bridge was amazing – I can only imagine what it’s like at the Marathon running over Tower Bridge with such iconic sights and amazing crowd. Six unsuccessful tries in the ballot this year – be kind, running Gods. Delighted to no longer be running – LOOK HOW HOT I AM. Chris smashed it by the way, as ever. Mr Tree Surgeon, who works a physical job in the heat all summer. It’s his fault I’ve signed up to my biggest challenge yet, even though I NEVER run in the summer and hate training in the heat, because I couldn’t handle the FOMO. Now it’s mid July and time to start rebuilding a solid base to get out of it alive in October. The goodie bag was wicked, by the way. Not included in the tweet below is a technical t shirt (another black one, which I’ll save for winter, promise), and of course the medal. Would I run it again? Definitely – and properly, next time! 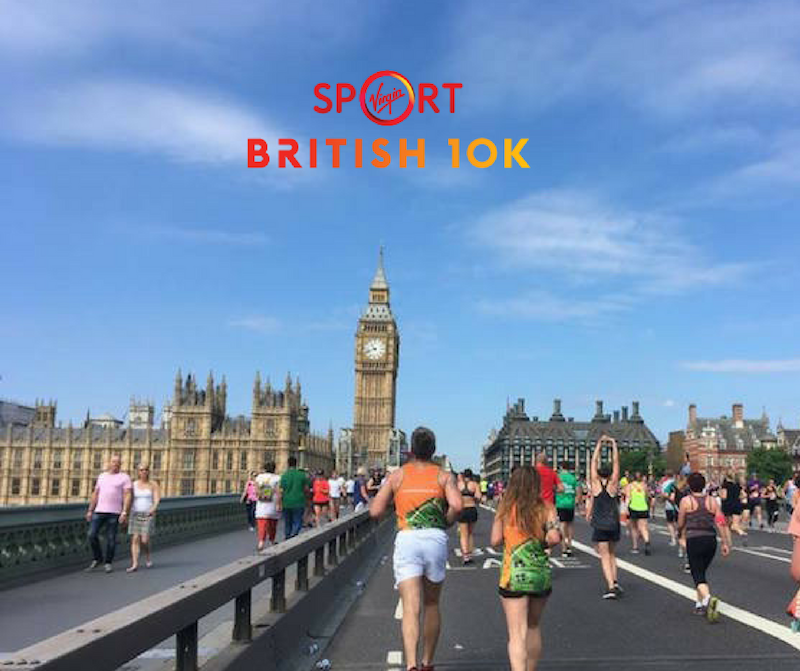 Entries open for 2018 – sign up here! Got any tips on how to run in the heat? Do you prefer winter or summer training? Next Post Brighton GoodGym is GO!